ChargeIt by Jay Round White Embossed Antique Melamine Charger Plate 14"
Home > Products > ChargeIt by Jay Round White Embossed Antique Melamine Charger Plate 14"
The ChargeIt by Jay Round White Embossed Antique Melamine Charger Plate 14" is an excellent serving piece for your intimate restaurant or fine dining establishment. 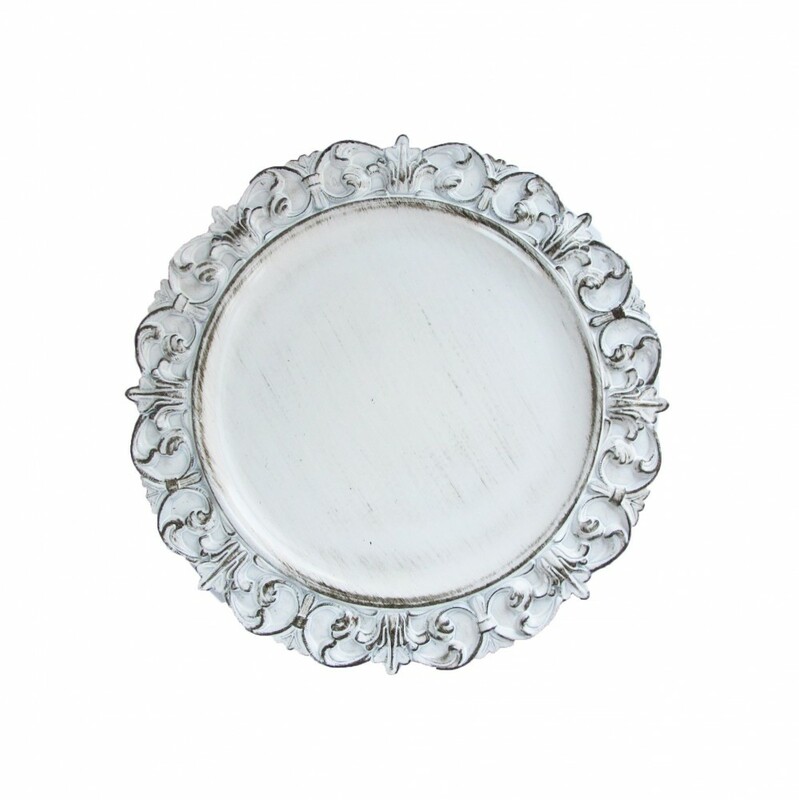 Featuring an intricate embossed pattern around its rim, this charger beautifully frames dinnerware while adding lush detail to the table. As durable as it is beautiful, this premium quality melamine charger plate boasts superior craftsmanship ideal for heavy duty use. The perfect harmony of style and functionality, this charger accommodates any size plate and provides protection against spills and mess. To keep this charger plate in excellent condition for a long period, hand washing is highly recommended.